After escaping a secret military complex amid the zombie apocalypse, B roams the streets of a very changed London, dirty and dangerous and eerily quiet, except for the shuffling of the undead. Once again, B must find a way to survive against brain-eating zombies --and now also against those who have seized control of the city. With danger lurking around every corner and no one to trust, B must decide whether to join the creepy Mr. Dowling in exchange for his protection. When everyone around you is dead, where do you turn for help? Is it just me, or do Shan’s third books tend to be the worst in every series? I’m pretty sure I disliked the third books in both the Demonata series, and the Saga of Darren Shan, a lot more than the rest of the books. That’s not to say I didn’t enjoy them, but they weren’t as great. This is such a funny trend. Zom-B City is a tiny book. In fact, all of the books in this series are. At just over two hundred pages, this book is minuscule, and took no time at all to get through. Which was great for bumping up my Books of 2013 list, but not so great when I wanted to get sucked in and read more about this world. Honestly, Zom-B City felt like an episode of a TV show. We were thrown in with B as she wanders around the streets of London, she meets a human artist (who may or may not be a bit insane), there’s a bit of foreshadowing and an introduction of something new, and then a climax which leaves you craving the next book. Why can’t these novels be longer?! It makes me so sad to read these books in less than a day. Anyway, the main reason I didn’t enjoy Zom-B City as much as the previous two books is that it lacked action and a mystery. The action didn’t pick up until the very end, when the zombie clown turns up and completely put me off sleeping, and the mystery that sucked me in with the previous two just wasn’t there. Instead, Zom-B City follows B as she wanders around London, doing nothing more interesting than tying her shoelaces. I don’t know, I just found it dull. That said, I really enjoyed the ending. 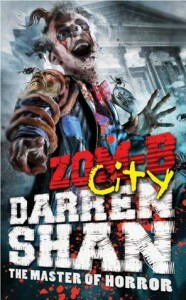 Darren Shan has a way of totally grossing you out and shocking you at the same time, and I love it. 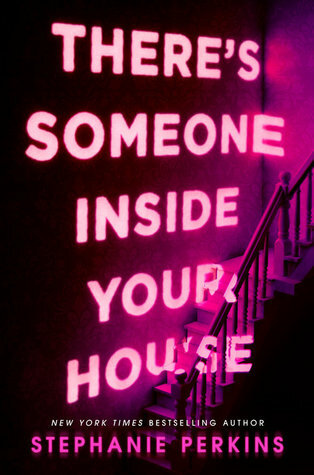 I just wish the rest of this book had been as intriguing as the last thirty or so pages were. Still, I’m not going to stop reading this series because of an average book. I shall soldier on and hope that this is just a one-off. Here’s to hoping that the third book is action packed and gripping.